Luis Suarez bit another player during a game and the internet went nuts by posting multiple different memes surrounding the incident. One is of the Apple logo with the tagline: "Suarez was here"). Others included his face photoshopped into JAWS posters. I prefer not to clutter this site with memes because you can see that anywhere. 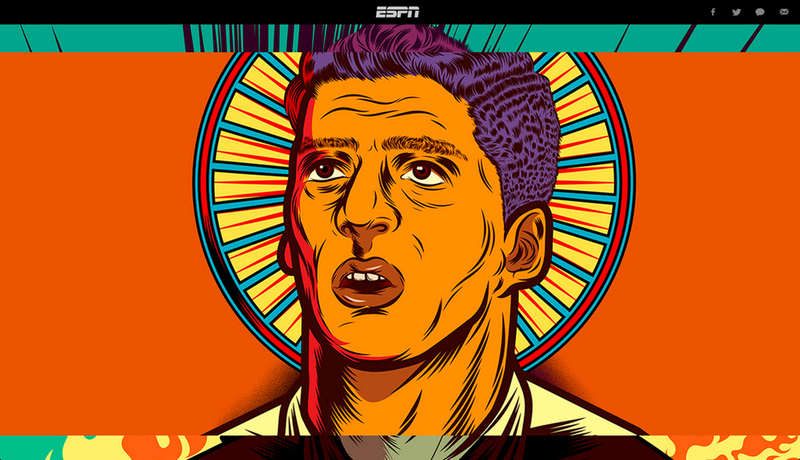 Instead, I wanted to share a story that ESPN Magazine did this past May on Luis Suarez which included some illustrations by Deigo Patino. The web page has parallaxing so it helps to show the "layers" of this complicated player.